By Paul Shaw. Designed by Paul Shaw and Abby Goldstein. Thames & Hudson, £19.95, $40. 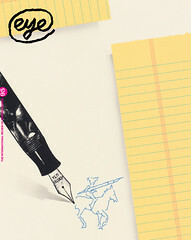 The Eye reviews desk bends under the weight of new books on type, from the detailed investigation of a single face to the beautifully realised object that is The Visual History of Type. 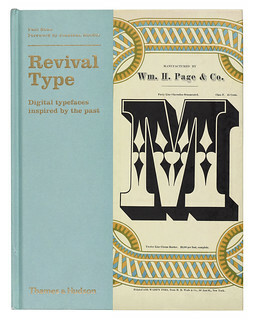 But for me, Revival Type: Digital Typefaces Inspired by the Past (Paul Shaw, Thames & Hudson, £19.95, $40) is simply the best recent publication about type. This is the work of authority to which I will turn again and again. 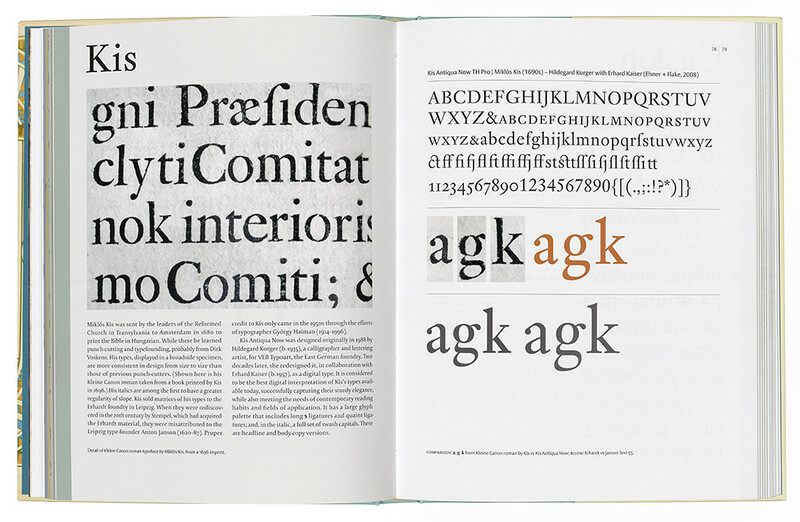 The book’s aim is to survey and evaluate digital typefaces derived and inspired by the past. By tracing the way specific typefaces evolved – in metal, wood or stone – and have then been realised as digital fonts, Shaw narrates a history of type design and manufacture. The design (by Shaw and Abby Goldstein) crops original specimens so you can understand the detail. Digital versions, chosen with Shaw’s insights as a historian and designer, show complete alphabets. Significant characters from the original font are compared with their different metal and digital versions. This is a book of real scholarship, inspiringly delivered. Right and top: Cover and spread from Revival Type: Digital Typefaces Inspired by the Past by Paul Shaw.